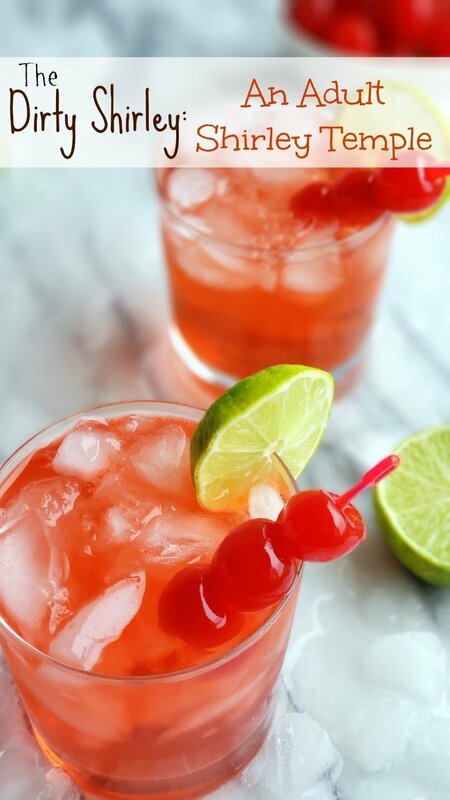 The Dirty Shirley is an adult version of the famous Shirley Temple cocktail. This Dirty Shirley cocktail pays homage to the child star known to complain that her namesake drink was too sweet! As a child, every special occasion called for a Shirley Temple. 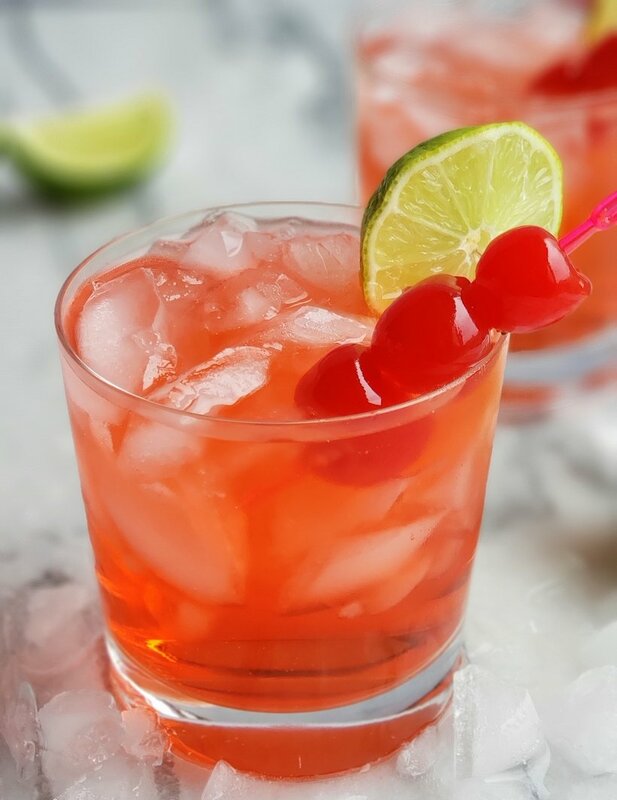 As an adult, that same hurt-your-teeth, sweet drink should be replaced with the Dirty Shirley, an adult version of the Shirley Temple cocktail. I think you’re going to love its refreshing and delicious vibe. The 1930’s were packed with parties for the child star actress, Shirley Temple Black. It’s rumored she often complained about being surrounded by adults who were enjoying cocktails that she herself could not enjoy. A quick-thinking bartender from the famous Chasen’s Bar in Beverly Hills whipped up the famous namesake Shirley Temple drink in her honor. Later in life, Temple admitted she hated the drink because it was so sweet. I have to admit as a kid, the reason I loved the drink was because it was so sweet! As an adult, the Dirty Shirley is definitely where it’s at. As far as I’m concerned the Dirty Shirley ranks right up there with my lemon drop martini and cosmopolitan cocktail recipe. Try them all and decide for yourself. The dirty Shirley is a cocktail version of the famed Shirley Temple mocktail we all enjoyed as kids. So many people ask if there is a male version of the Shirley Temple. Yes there is! It’s the Roy Rogers. A Roy Roger’s drink is also non-alcoholic made with coke and grenadine syrup. I don’t think I’ve ever had one. Have you? It also sounds sickeningly sweet! When you add alcohol to a previously known non-alcoholic drink, it makes it “dirty”. It is not cherry! I thought grenadine was this neon-cherry flavored syrup. Nope! Grenadine is actually a sweet-tart syrup made with pomegranate juice and loads of sugar. It is also non-alcoholic. All grenadine is not created equal. Now, if you’re making a kid’s Shirley Temple, use Rose’s brand or this one that we can all find at the grocery store. Your kid’s will not like the high-quality grenadine used in cocktails. Trust me, they want the yucky sweet stuff. Here are some grenadine brands I recommend for an adult cocktail. They do cost a little more and can be a little harder to find. But it’s worth the effort. B.G. Reynolds’ Hibiscus Grenadine and Small Hands Food Grenadine are two of my favorites. Don’t be the bartender who garnishes their drinks with only one cherry. As a kid it was always such a bummer to get my Shirley Temple and the stingy bartender had only added one cherry . Be generous! Add all listed ingredients in a cocktail shaker, except the ginger beer. Add large ice and shake vigorously. Add ginger beer and stir or roll the cocktail shaker. You do not want to shake the ginger beer since it is carbonated. At this point I like to taste the cocktail for balance. If it’s too sweet I add more lime to taste. 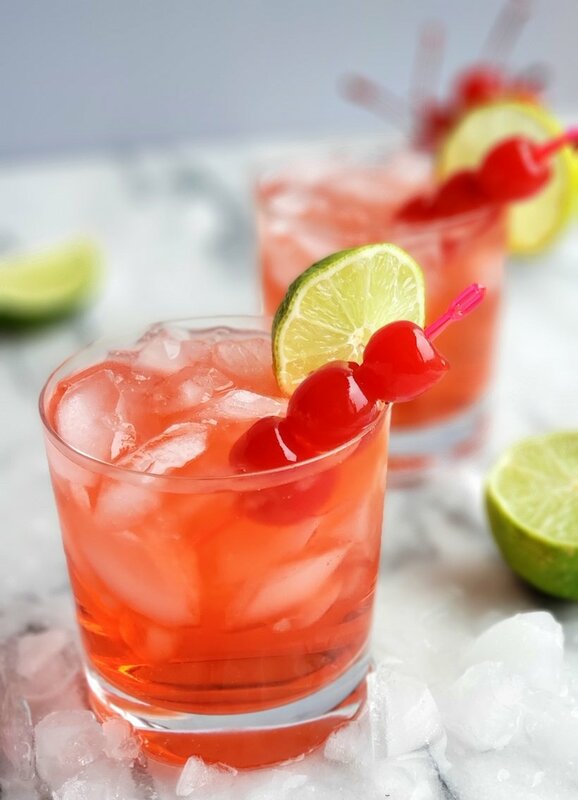 Strain the drink over ice and garnish with lime wedges and lots of cherries. If you love trying new cocktails, I highly suggest giving this Hpnotiq Cocktail a try. However, don’t forget about my Best Mojito recipe, it’s amazing. Please join our NOBLE PIG FACEBOOK GROUP for a more in depth look at recipes, cooking tips and other member contributions. 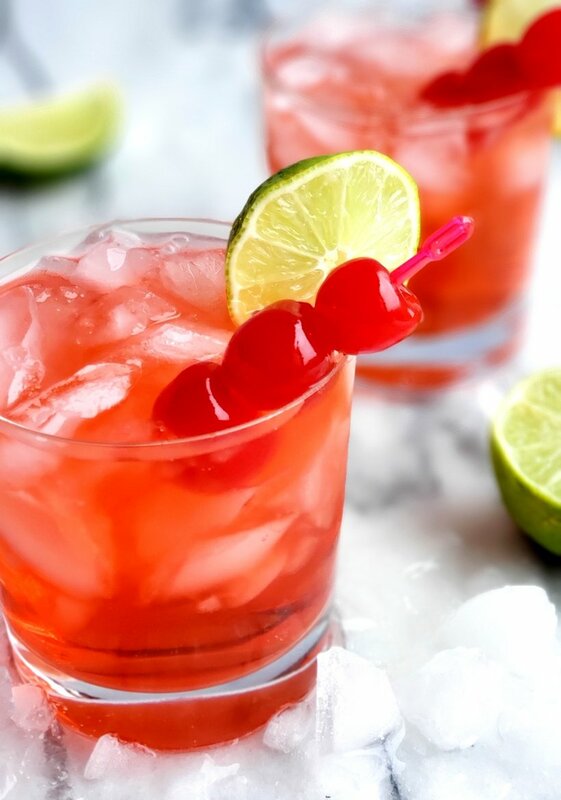 The Dirty Shirley is an adult version of the famous Shirley Temple cocktail. This Dirty Shirley cocktail pays homage to the child star known to complain that her namesake drink was too sweet. Place all ingredients (except ginger beer) into a cocktail shaker and add large ice. Shake cocktail shaker vigorously. Add ginger beer and roll the cocktail shaker once. Taste for balance, adding more lime if you prefer. Strain over fresh ice. Garnish with, maraschino cherries or brandy-soaked cherries for a more adult taste. My girlfriends LOVED this on our ladies night! The triple cherry garnish and the complex flavors made this a hit with my book club! So good! These brings back memories of the old days! Such a fun drink. I love dirty shirleys! Thanks for sharing. I really loved this idea!! Such a refreshing drink! Such a fun party drink! So refreshing! My favorite cocktail of all times. So good.